We were delighted to host representatives – Annie McGowan and Sarah Sheppard – from the ESF Managing Authority (Department for the Economy) who were on a familiarisation visit at our Regional Office in Antrim. The Managing Authority oversees the running of all ESF funded projects such as AMH’s Working it Out project which is delivered in our New Horizons services throughout NI. 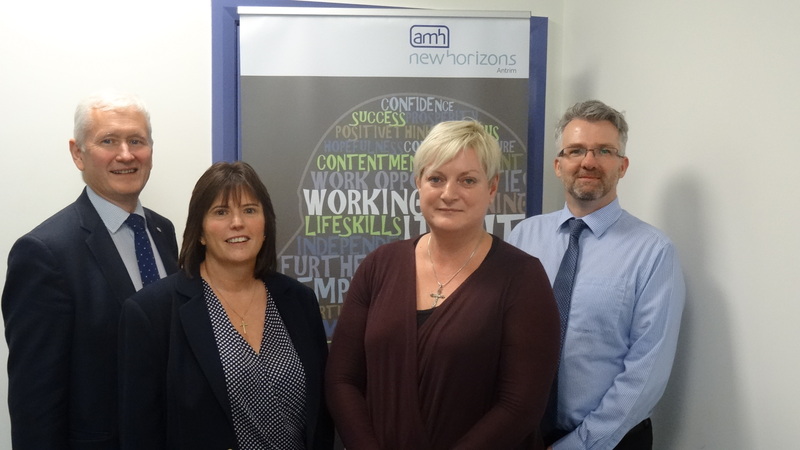 AMH New Horizons is part funded through the Northern Ireland European Social Fund Programme 2014-2020, the Department for the Economy and the five NI Health & Social Care Trusts. To find out more please click here.